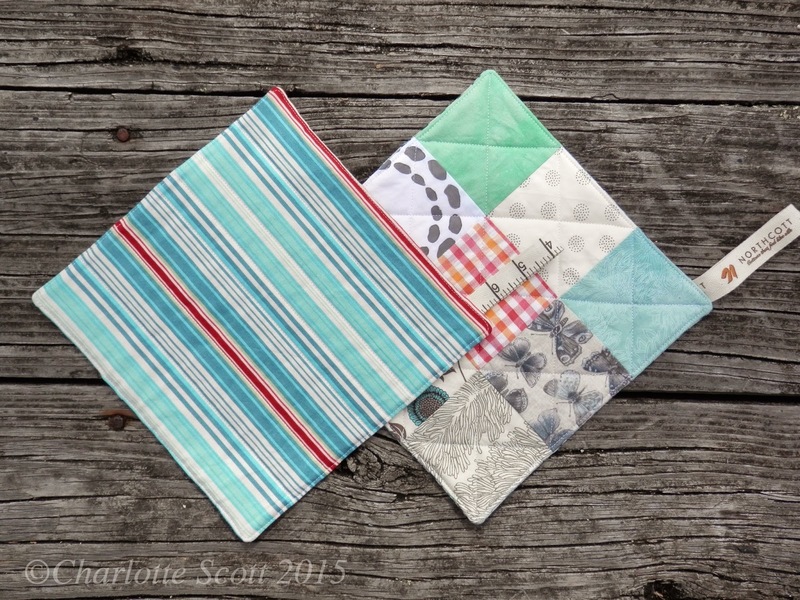 Sandi from Quilt Cabana Corner recently organised a potholder or mug rug swap. We got to decide which we wanted and were assigned swap partners accordingly. We said what colours we would prefer and then sat back and waited (after making and sending off our reciprocals first of course!). I'm posting this now because I know my swap partner has received her potholders safe and sound, so I won't ruin the surprise. 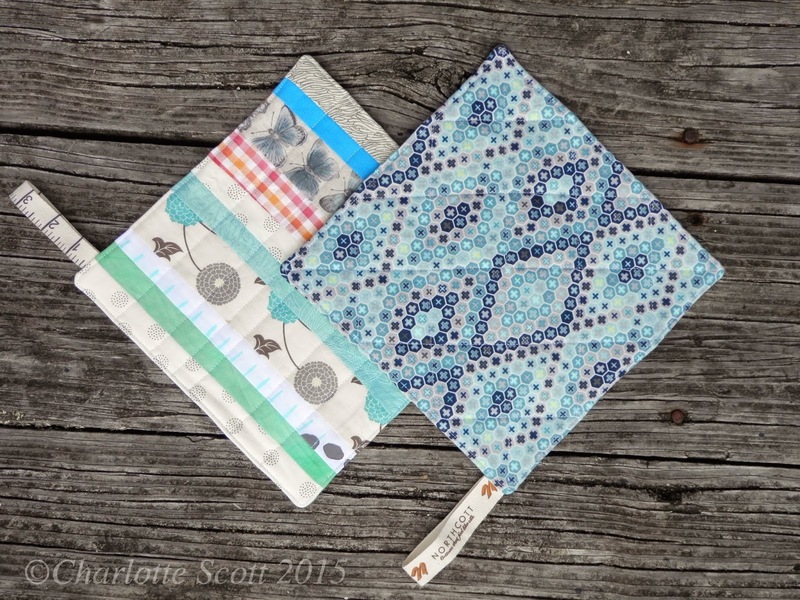 I decided on pot holders as I need some new ones, and have never been a mug rug using person. 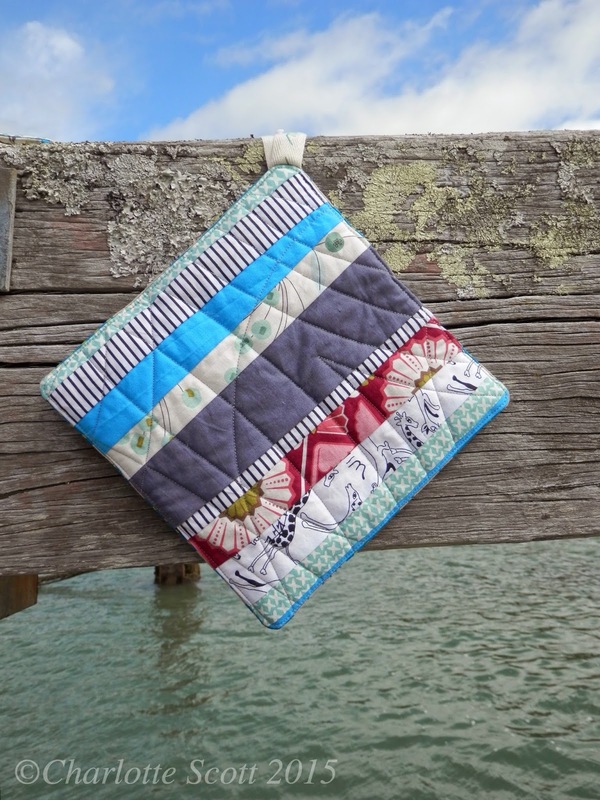 Then I found this really cute tutorial that I listed over on Quilting Focus (a NZ quilting directory site that I do a bit of writing for), and wanted to have a go at. 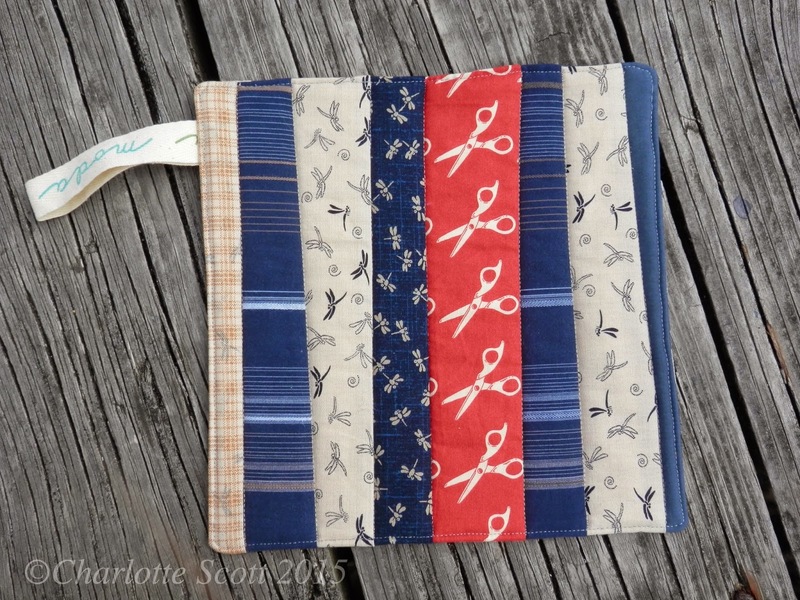 My first two were trials of how many layers of batting, what style of quilting I was going to use and how I was going to insert the hanging tab. My swap partner, Amy, asked for brights/moderns/anything and so I did a bit of stalking on her Instagram and Flikr feeds before I made my final fabric choices. They were fun to make and a nice way to use those precious scraps that are too good to throw away but too small to do much with. I see a few more of these in my future - everyone's getting potholders for Christmas! 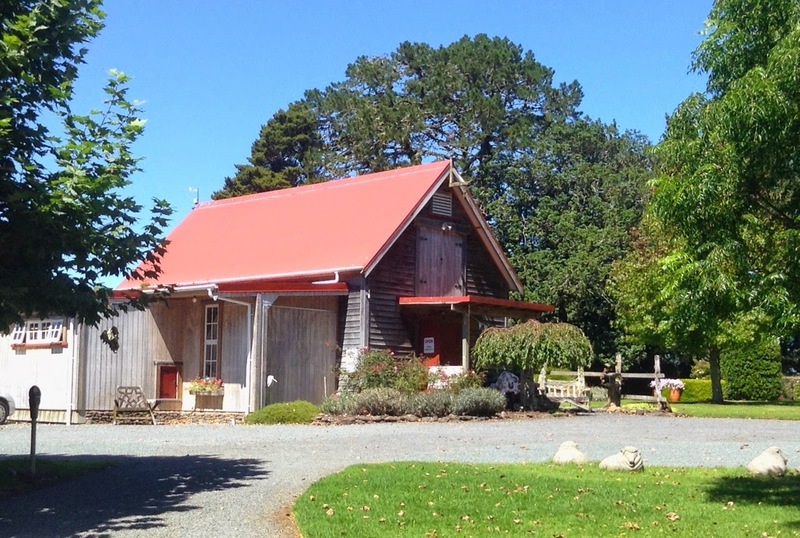 Back in January, I visited Kerryn Walker at her quilt shop, The Country Yard. 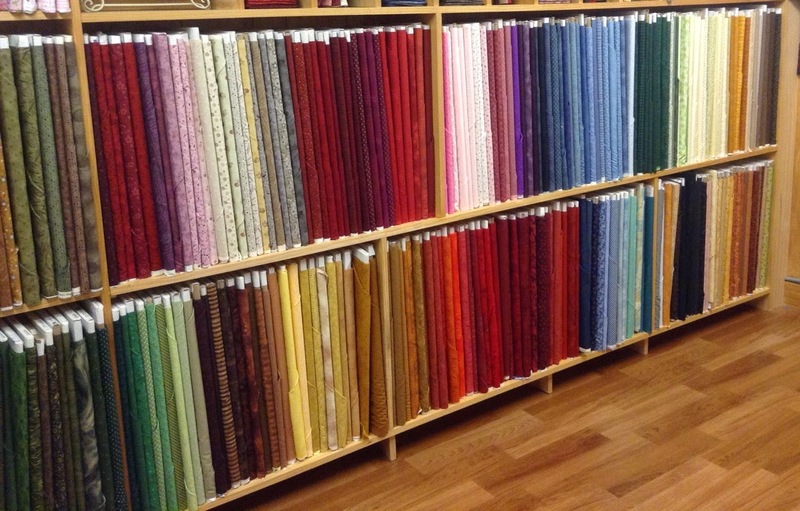 Although it's about an hour's drive from me, I consider it one of my local quilt stores (LQS). That's what you get when you live rurally! Kerryn and her staff are incredibly helpful and supportive to quilters. They run stitching days and plenty of classes. They also have interesting block of the months and challenges. And of course, they have lots of beautiful fabric, threads and notions! Suz, from 'All The Good Ones Are Taken' blog, is taking part in one of The Country Yard's monthly mystery projects called Medallion Mystery. Her first post about it is here, and she just told me she's finished the first block so hopefully will be posting more about it soon. Kerryn was generous with her time and let me interview her for my podcast. 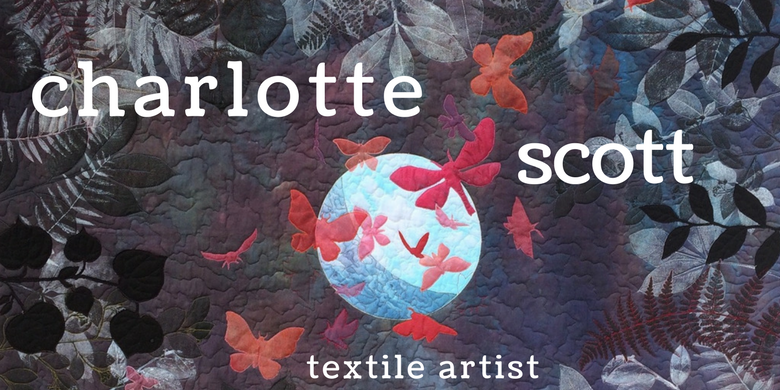 We chatted about her journey in quilting, how she came to be a quilt shop owner and what plans she has brewing for the future. I had fun and learnt a lot so I hope you'll find it an interesting listen. I know I live in a beautiful part of the world. And, living on a boat, have access to the most beautiful of the beautiful bits. But seriously, The Bay of Islands on Easter weekend (a four day public holiday in New Zealand) was just showing off. 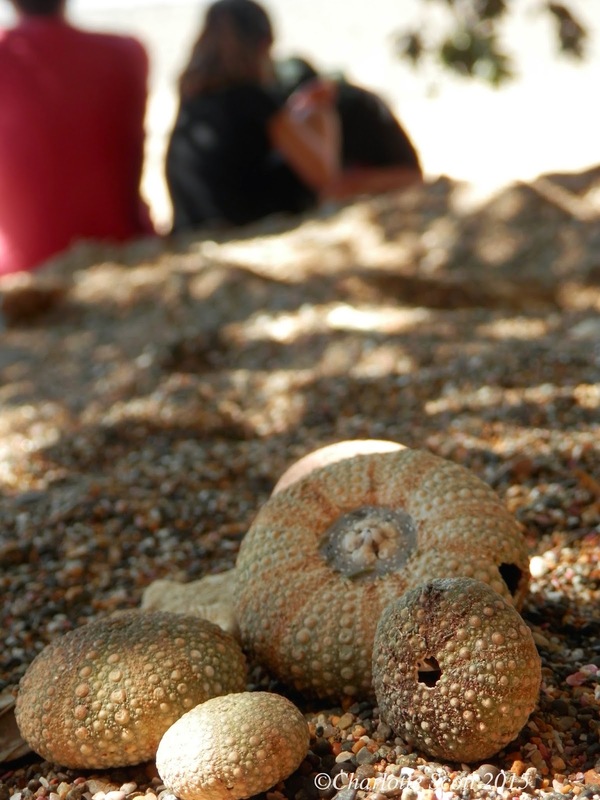 Snorkelling, fishing, exploring, beach walking, shellfish collecting, kayaking, sunset watching. And just a touch of sewing to round it all out. I'm a bit quiet round here at the moment because Easter marked the beginning of a two week school holiday. I can't tell the kids to knock off their screen time if I'm not setting an example, right? Have a good one, everyone and I'll be back with more quilty stuff in a week or so. Happy April Fools everyone, hope your day goes smoothly without too many pranks! 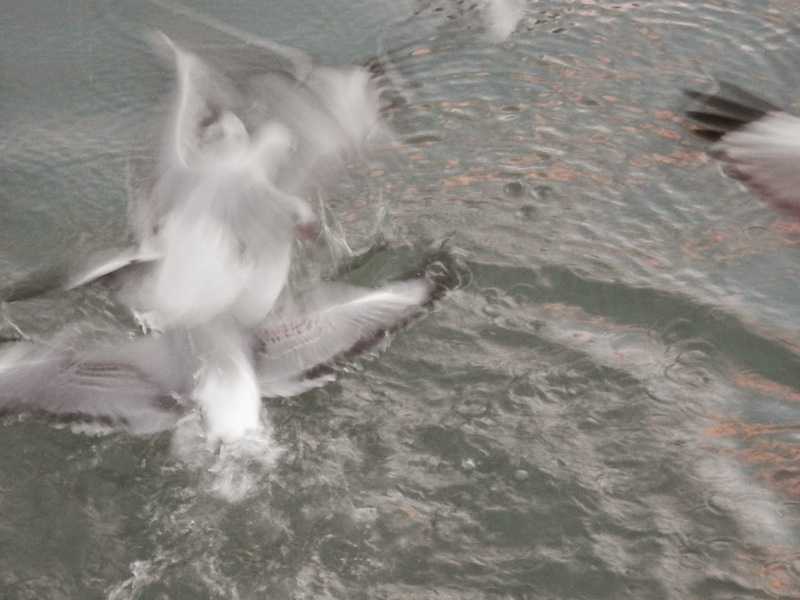 I've been trying to take photographs of seagulls. 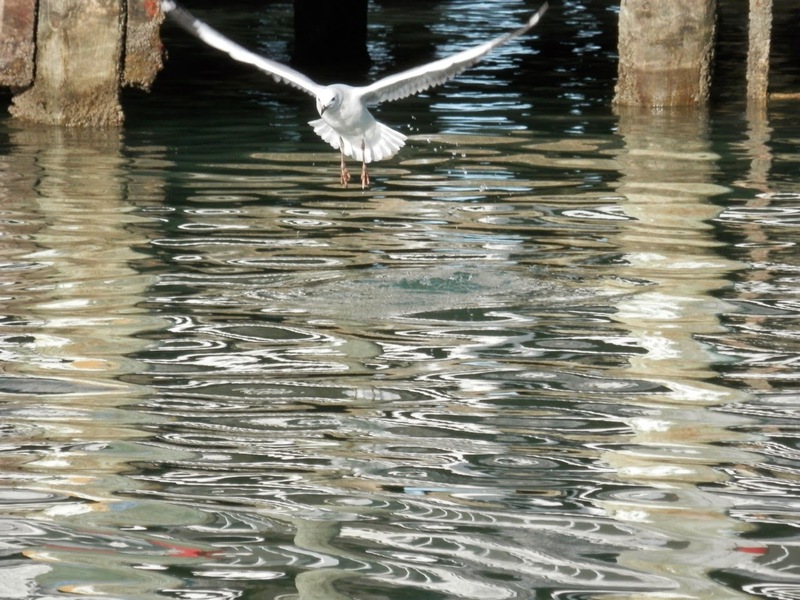 And more specifically, seagulls hovering and diving. I want to add some to a quilt I'm making and need photographs to draw from. Heck it's tricky! For every good photograph I get, there are about 30 seagull blurs, wing tips, feet or just scenery without a seagull in it! But I'm getting there. The one above gives me a good seagull shape. Plus the reflections are beautiful too - like an impressionist painting. I'm off to feed seagulls again.